Ryan Lochte made the whole thing up. That's the accusation coming from Brazil in light of a claim from Lochte and three of his USA Swimming teammates that they were robbed on Saturday morning. The new information comes from ABC News' senior national correspondent, Matt Gutman. Along with the accusation Lochte and his teammates lied, Gutman and another ABC colleague, TJ Holmes, tweeted out other pieces of information that claim Lochte and his teammates were drunk, which affected their storytelling. According to Daily Mail, Brazilian police are of the belief the swimmers damaged a gas station bathroom, which led to a security guard demanding they pay for the damage. The security guy saw them and started arguing with them - telling them they had to pay. They refused and argued back. He pointed his gun at them and insisted they pay for the damage - they gave him some money and left. 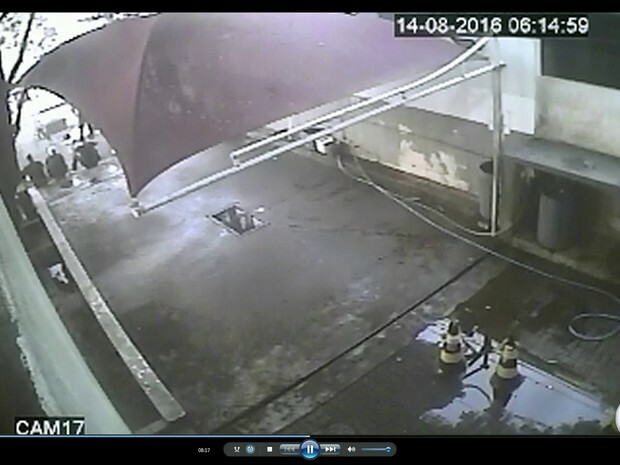 Security camera footage shows the swimmers walking out of an apparent bathroom at the gas station. The swimmers then seem to have been coerced into stepping out of their taxi and sitting down on the ground. The new reports follow a whirlwind of information that came a day before and cast doubt on the claims from Lochte and teammates Jimmy Feigen, Jack Conger and Gunnar Bentz. On Wednesday, camera footage showed Lochte and his teammates returning to their rooms at the Olympic Village the morning they claim they were robbed. According to Daily Mail, records from a detector they walked through at the village show they had their wallets. In addition, Brazilian authorities had gone to visit Lochte and the swimmers at the Olympic village, only to learn they were not there and Lochte, in particular, had flown back to the US. A Rio court also demanded the swimmer be held in Brazil for further questioning, which led to two swimmers, Conger and Bentz, being pulled off a plane to the US before takeoff on Wednesday night. Now, with three swimmers in Brazil and one in the US, it's likely even more information will continue to come out in what has been a dramatic he-said-she-said story.